Huge Savings Item! 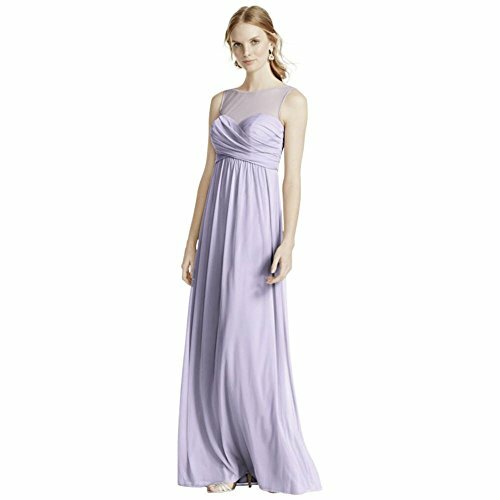 Save 19% on the David's Bridal Long Mesh Bridesmaid Dress With Illusion Neckline Style F15927, Iris, 18 by David's Bridal at Style Hoster. MPN: F15927. Hurry! Limited time offer. Offer valid only while supplies last. This illusion tank dress is the definition of glamour! Features pleated illusion bodice with sweetheart neckline. Fully lined. Imported polyester. This illusion tank dress is the definition of glamour! Features pleated illusion bodice with sweetheart neckline. Fully lined. Imported polyester. Back zipper. Dry clean only.